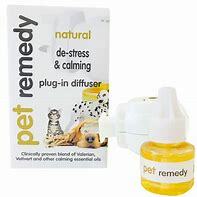 Pet Remedy Plug in Diffuser is a natural de-stress and calming plug-in diffuser that comes complete with a 40ml bottle. 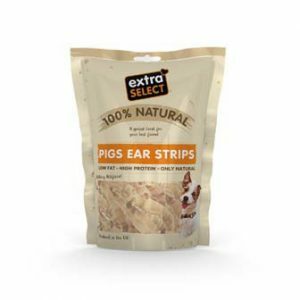 A new and natural way of tacking stress and anxiety using slow release technology. Sevral years of research and trials have resulted in a unique treatment of Valerian oil, blended with Vetivert, Basil sweet and Sage. 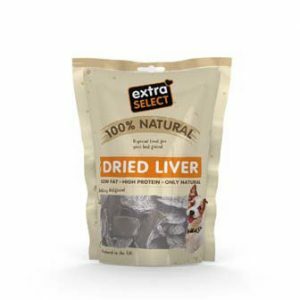 Ideal for all pets including dogs, cats, rodents, horses, other mammals and birds. Also includes hanging travel diffuser. As soon as it is plugged in you will notice a difference as the potent de-stressing properties are slow released into the surrounding area. 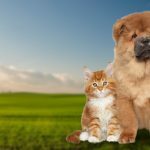 Pet Remedy treatment works by enhancing production of a neuro-transmitter called GABA (GAmma Amino Butyric Acid) GABA has an inhibitory effect (ie.calms the nerve), and is a natural chemical produced by the brain, and transmitted from nerve to nerve as a chemical calming message when the body is stressed and anxious. Coverage up to 650 sq ft.